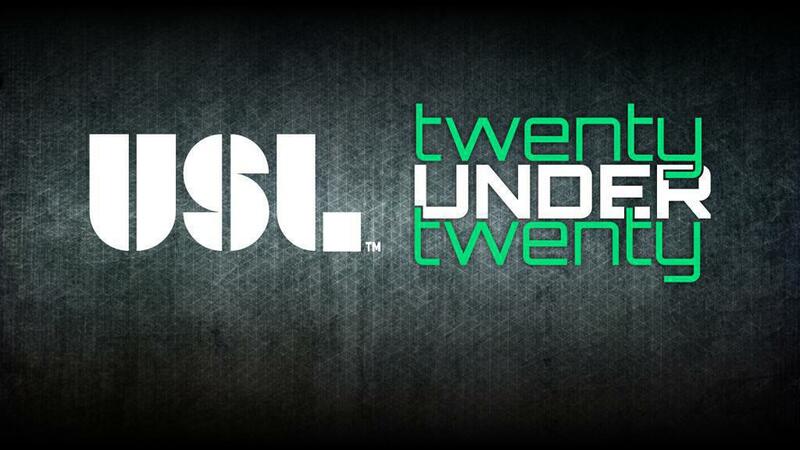 The penultimate day of the 2018 USL 20 Under 20 brings another standout quartet of players to have shone in the league this season, including a pair from the two-time defending Western Conference champion Swope Park Rangers who have made their presence felt this summer and one of the highest-regarded talents in the United States youth national team set-up. 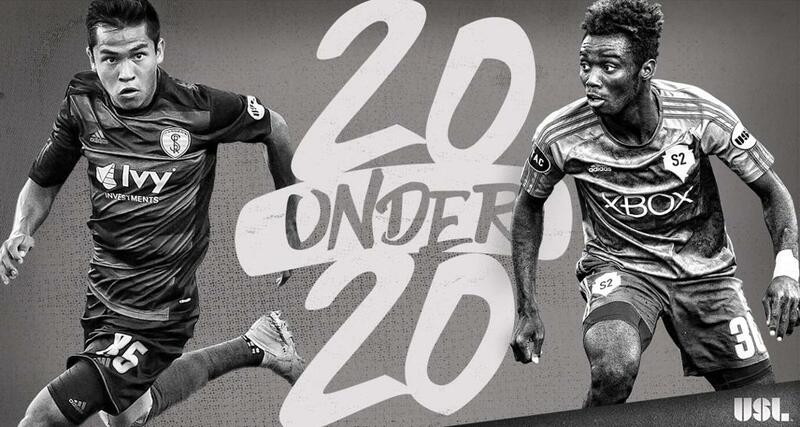 Featuring the second-youngest Homegrown signing in Major League Soccer’s history and one of the players to watch at next month’s 2018 Concacaf U20 Championship, here are players No. 7 through No. 4. After a season of acclimation in Seattle a year ago, Ulysse has been consistently one of the first names on the team sheet this season for S2 Head Coach John Hutchinson, having logged almost 1,000 more minutes this year than he did in 2017 to be one of the bright spots on a young but talented back line for Sounders FC 2. Leading S2 in minutes played, Ulysse sits at the top of multiple defensive categories for the side with 74 interceptions and 137 duels won at a 55.7 percent success rate while sitting tied for the team lead in blocked shots with 13 alongside fellow 20 Under 20 selection Rodrigue Ele. In addition to that, however, Ulysse has shown the ability to bring presence to Seattle’s attack with 19 chances created and two assists from the right side. That willingness to join that attack has also seen the Haitian produce 20 shots overall and eight on target this season. Ulysse’s upward course this season should lead to big things in the future as he looks to break through to a higher level this offseason and push for a place in the Sounders’ MLS plans. What’s pleased you most about the way Denso has come on this year? Ezra Hendrickson found him and brought him in and believed in him and we’ve watched him turn from a potentially good player into a really good player. He’s athletic, he’s up-and-down, he’s good in the air for a little guy, his one-v-one defending and his ability to make good forward runs is a highlight for him and the improvement now has to be with the final ball, the final decision when you get around the attacking area. As you can tell, with our first team under Brian Schmetzer, our fullbacks mean a lot to us and S2’s no different. Our fullbacks have to have an end product, and that’s what we’re working on with Denso now. If he can find that, the next level is really close for him. You’ve seen guys make the move previously to him, like Nouhou Tolo, and he seems to be developing into a very good two-way player. Do you think there’s the potential for Denso to be a similar player to that in the short-term, and potentially better in the long-term? I think Denso has improved his output this year in pretty much everything. His completed passes, the way he’s gone forward and his box crossing, we just need more now and it’s about decision-making in the final areas, making sure he makes the right pass. His movement is always improving, his training is improving, and just him as a general pro has always been improving, so we’re just looking to make sure that you try to get these players to the next level and beyond and Denso is one that we hold as a high-potential player. 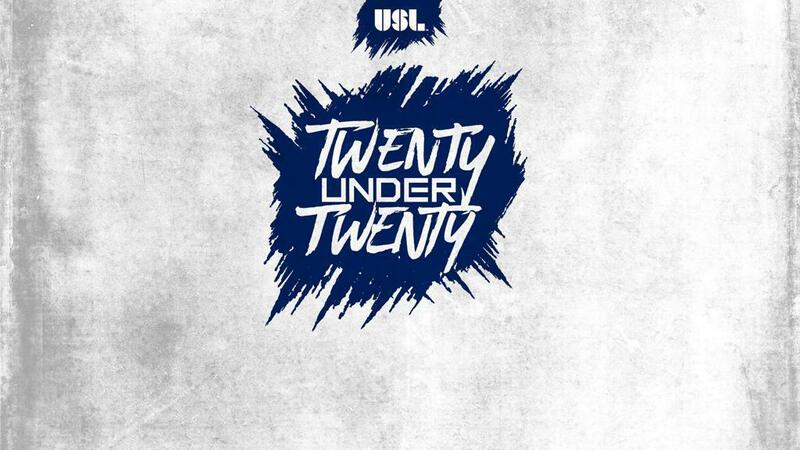 The second-youngest signing in Major League Soccer history aged 15 years, 89 days old when he turned professional in August, 2017, Busio has shown why he’s such a highly-touted prospect in both the USL with the Swope Park Rangers and for Sporting Kansas City this season with a maturity beyond his years as the second-youngest member of this year’s list. Officially listed as a forward, Busio’s versatility has seen him line up in different positions this season for the Rangers and allowed his calmness on the ball and vision to pick out a chance-creating pass to shine. Busio has completed 86.3 percent of his passes at a rate of 40.6 passes per 90 minutes while registering 12 chances created and two assists in his first full season as a professional in the USL. He also logged his first MLS assist this past August against the Houston Dynamo, a game that also marked his first start in the top flight. Busio’s progression throughout this year has made him one of the more eye-catching young players in the league, and as the 2019 FIFA U17 World Cup approaches he’ll be one to keep an eye on throughout next year and beyond. What makes Busio so talented? Well, Busio is a very smart player, very technical, and it seems like the kid has eyes on the back of his head. He has very creative qualities that we normally don’t find in a regular American player. It’s just a matter of time for Busio to be a big star in this league and hopefully for the national team as well. Like I said previously, he’s been playing with the first team and he’s been doing well, so hopefully just like Lindsey, if he keeps being consistent and getting used to the speed of the game and just playing the way that he plays, he’s going to have a bright future. Like I said before, I think it will be consistency. Getting used to the physicality and the athleticism on the next level, and of course just being patient. I think in Busio’s case, he has some characteristics that are really hard to find in a player. For me, I think it’s just a matter of time for him to succeed. It’s the way of things at a club like the Swope Park Rangers that a 20-year-old like Felipe Hernandez is one of most experienced players in the squad, but as he nears 60 appearances and almost 4,000 minutes of action the quality the central midfielder has brought to the two-time defender Western Conference champion has been undeniable, especially this year. Hernandez links play well in the middle of the park, but in a team that has prized passing and movement Hernandez has also shown a willingness to create space by taking on opponents, using a deft first touch at times to create an avenue to drive forward to register 42 completed dribbles, third-most on the team. Hernandez’s ability from set pieces have also seen him register 45 chances created this season, while he’s also shown the ability to strike from range with both of his goals this season coming from outside the penalty area. With the experience he’s gained over the past two years, the question now will be whether Hernandez can make the next step into Sporting Kansas City’s squad this offseason, joining some of the clubs other young standouts in forming a young nucleus for the club’s future. Felipe is a nonstop worker on the field. He has a great engine as well and is really good in transitions and in the middle of the park. Felipe has very good shots and very good technique. He has qualities that really fit the way that we play, so that’s why he is doing so well for the Swope Park Rangers. For Felipe as well, it always comes back to the same point for these young guys that are transitioning from the academy to the Swope Park Rangers to the first team, in that the speed of play is massive for them. Once they get used to the speed of the game, their quality and their technical ability will just take over. For Felipe, it’s a matter of understanding the difference. I know that Felipe has not had a taste of the first team yet in a MLS game, but he’s trained with the first team in preseason and played preseason games. He needs to keep evolving as a player on his technical part and on the physical part as well. 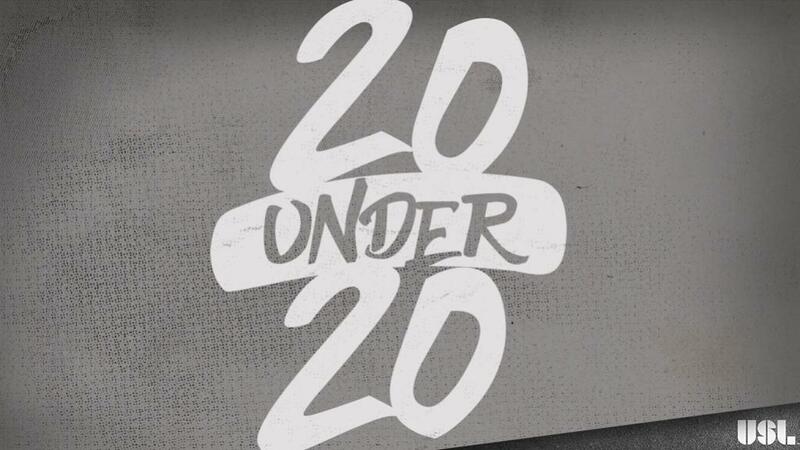 There’s been plenty written already about Andrew Carleton’s upside as the crown jewel of Atlanta United FC’s early Homegrown signings, and the vision he has shown in his first full season in the USL that has also seen the U.S. U20 international make cameo appearances for the club’s MLS side has shown why he’s been such a highly-regarded prospect for a few years. After making his professional debut with the Charleston Battery two seasons ago in the USL, a stint that saw him notch his first professional assist as well as see USL Cup Playoffs action for the side, this year has seen him be a centerpiece for ATL UTD 2 in its first season in the league. The willingness to switch the point of attack with long, raking passes has been impressive, as has his increased ability to take on opponents and look to set up his shot more often. With 26 chances created this season, his ability to pick out a good pass in the final third or send in a whipped set piece has also been impressive. With a place in the United States U20 National Team likely waiting in November for the 2018 Concacaf U20 Championship, and a chance to shine at next year’s 2019 FIFA U20 World Cup as he did last year at the U17 level, the next 12 months are going to increase the spotlight more on the young standout. Andrew’s technical ability is on par with top MLS players, but at the same time he’s not a finished product – he’s only 18-years-old and is still honing his game. His commitment level has been just as impressive as any part of Andrew’s game, as he’s putting in the work on a daily basis to improve his overall skillset. Also, the experience he’s gained training with the First Team every day, in addition to playing competitive matches at the USL level, is going to keep him on the path to eventually earn an opportunity to get regular minutes with the First Team.